Come join us on the ultimate dolphin experience with our Bahamas Dolphin Swim. On this two hour journey, you and your group will actually get to swim alongside the beautiful and majestic bottlenose dolphins. 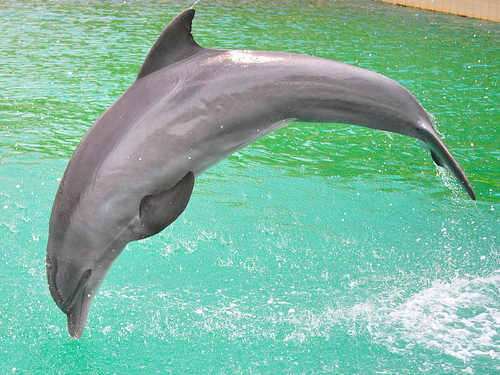 You will head out on a scenic 20 minute boat ride towards the main dolphin center and sanctuary. The entire center covers nine acres. Upon reaching the center, you will first receive an engaging presentation on the biology, behavior, and habitats of the Bahamas dolphins. We aim to instill newfound knowledge and appreciation for these unique animals in all of our guests. Then it is time to jump in the water! 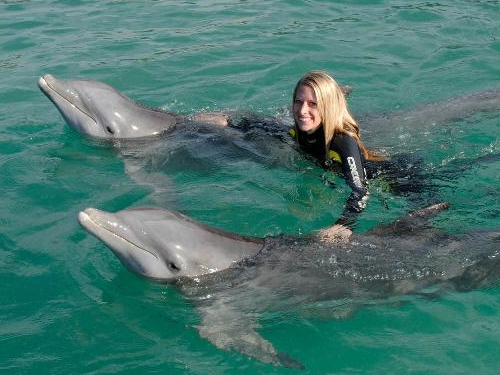 This is the best way to get up close and personal with the dolphins. 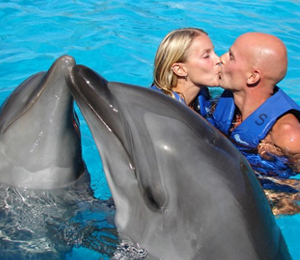 Our professional dolphin trainer will be there with you the whole time. 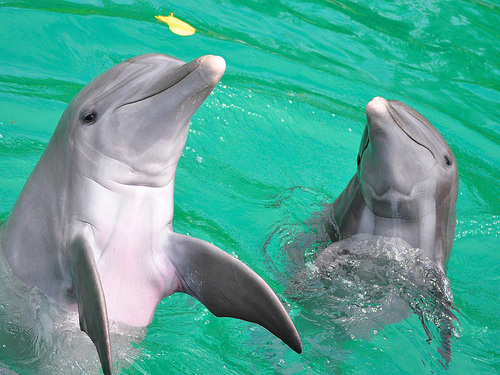 You will learn what signals to give the dolphins to instruct them to perform various tricks and feats. Watch them leap into the air and do a flip. Watch them swim across the waters with a fin in the air. Watch them do tail stands. And hold on to their fins as they soar through the waters. After your unforgettable time spent with our bottlenose dolphins, you will get to enjoy the rest of the amenities found on Sanctuary Bay, including a large 17 foot deep pool and picture-perfect scenic views. It's not uncommon to spot a few resident Macaws or cockatoos! You will also get to enjoy a snack or beverage of choice from the Dive In Bar & Grill and explore our large gift shop. Our Grand Bahama Island swim with the dolphins programs are entirely safe and one of the best way to spend your day while in the Bahamas. You will leave feeling enthralled at this one of a kind interaction with the friendliest of sea mammals! 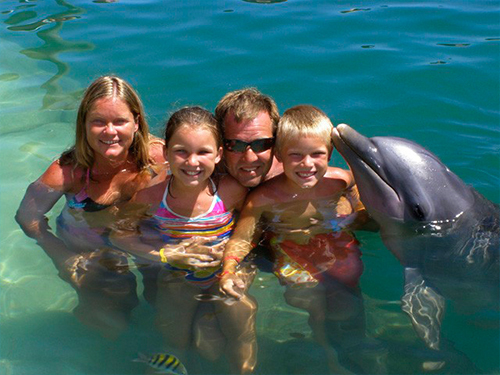 I have been to the Bahamas many times, but Freeport Swim with the Dolphins is one of my favorite trips! It includes everything that everyone should do here. As a Bahamas veteran, I can say only the best about this experience!